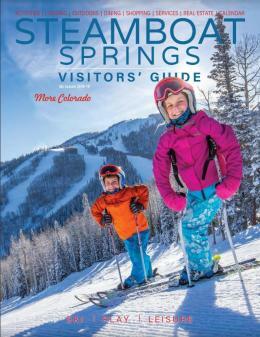 The Steamboat Springs Chamber produces a bi-annual Visitors&apos; Guide, together with Steamboat Magazine. You may currently request a winter 2018/19 Visitors&apos; Guide via mail. To sign up for our emails, click here. The 2018/19 winter edition of the Visitors&apos; Guide features top events and activities, locals tips, information on shopping and dining, and the best of skiing and snowboarding in Steamboat Springs. All editions of the Visitors&apos; Guide feature maps of the Steamboat Springs area complete with a trail guide and walking tours. Also included is a complete business directory. Please complete the form below to request your Steamboat Springs Visitors&apos; Guide. Please note the processing times located on the confirmation page. Please complete the form below to request your Steamboat Springs Visitors' Guide. Please note the processing dates on the confirmation page.